We’ve found a coffee roaster that meets all of our requirements for a high-quality business partner AND coffee roaster: 802Coffee! 802Coffee is the roaster for one of my favorite coffee shops here in Vermont, Capitol Grounds Cafe. 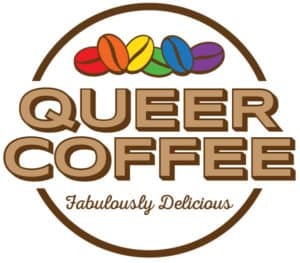 If you ever have the chance to visit Montpelier, Vermont, they’re the bustling coffee shop in our beautiful downtown serving excellent coffees in sizes “conservative,” “moderate,” “liberal,” and “radical.” And just a few miles away, from the coffee shop and my home, they roast green coffee beans to order for Queer Coffee. It was important to find high-quality, organic, fair trade, and cooperatively-grown coffees. 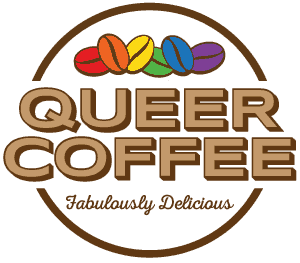 Queer Coffee is a fun gift or a silly (and delicious) addition to your pantry, but we don’t want to skimp on the coffee or social justice, now do we? 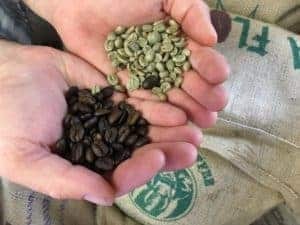 802Coffee offered all of the above, plus years of experience in selecting beans, roasting them, and helping me find just the right roast, source (Peru), and blend for our customers. The crew at 802Coffee roasts and ships Queer Coffee six days per week, so you’ll always get the freshest roast possible. Buy a bag today or follow us on Facebook!